Well, hey, everybody! I know some of you have wondered where I’ve been, but here I am now. I’m bringing you something I promised WAY too long ago. I’ve finally written the tutorial for the The Two Red X’s Block pattern for The 70,273 Project. Do you remember when I told you about that? You can read more here. After I read about Jeanne’s project, I happened to read a couple of books set in World War II (The Paris Architect and The Auschwitz Escape, specifically). I could not help but think of the thousands of people these quilt blocks represent as I read. Over seventy-thousand people, all dead, for no reason other than that “somebody” considered them unfit. All told, somewhere in the neighborhood of six million people were killed by the Nazis. Horrifying. As I made my blocks, I intentionally made some quickly and with little regard, as I imagine those who so casually made their x’s might have done. When I made the smallest blocks, I thought how many small children went, trustingly, the way they were sent. In my small way, I hope I am honoring their lives. If you’re interested in using my pattern for your blocks, please go here. You can also use the link on my (new!) Patterns page. 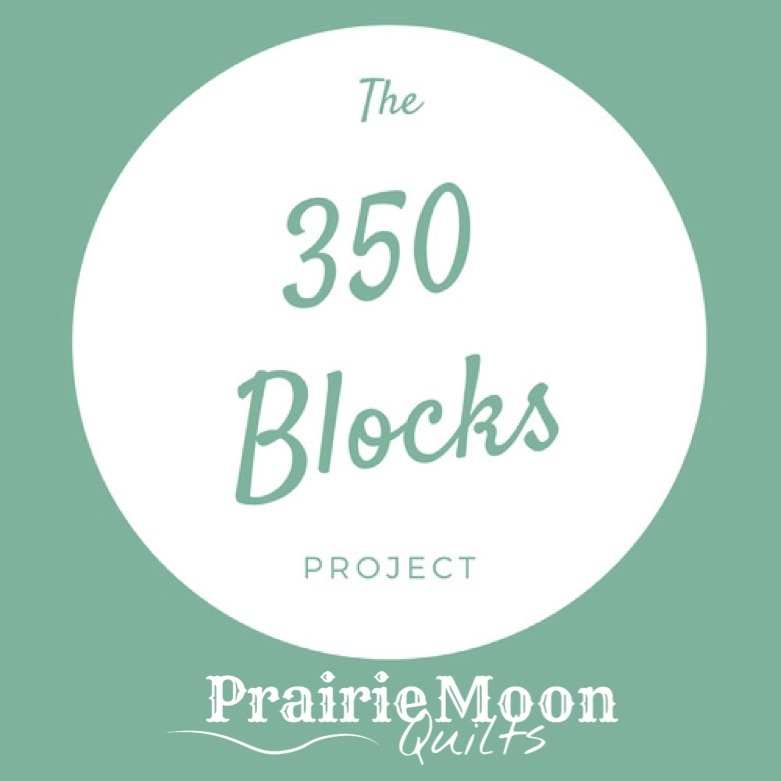 The pattern is free for your use in making your share of the 70,273 blocks my friend Jeanne Hewell-Chambers is collecting for this project. If you make some blocks, I’d LOVE to see photos. You can add photos in the comments or tag me (Lori East Quilts) on Facebook. Jeanne will also want to see photos, so please check the project page for how to do that. As a consolation prize for not sending my 31-in-31 blocks for March, I ended up making ten extra. I’m sending Jeanna a total of 41 blocks. There are 21 of the smallest blocks, 16 of the medium, and four of the largest. I am pretty sure I’ll be making more. I used all sorts of things to make my X’s: the pattern I’m sharing with you, paint, raw-edge applique, finished-edge applique, and plain stitches. It really becomes true that the blocks are as individual as the people they represent. Before I packed up the blocks to send them off with their forms and such, I laid them all out on the floor, just to see what they’d look like. Ohmygosh, y’all. Oh.my.gosh. These blocks represent only forty-one people. Forty-one of 70,273. That’s only .05% of the number of people killed. Can you just imagine what a sobering sight it will be to see all of these quilts together? Have you made your blocks yet? Lori, this is so great! How lovely of you to design a block for anyone to use, and I also love the way you used different techniques with your blocks: it is fundamental to this project that each block represents an individual life. Inspiring!! Thanks, Chloe! I, too, like the idea of using different techniques for the blocks. Each block becomes as unique as were the souls who were lost. I can easily get all weepy if I think too hard on it! There have been some tears stitched into some of my blocks already. I am particularly touched by this project because my daughter’s condition would have qualified her for the crosses of death without a doubt – and she is such a sparkle of courage and joy (well. when she chooses to be, she’s red-headed…) So many, many lives struck away. Ohmygoodness, that makes me so sad. I don’t even have to know your daughter to panic at the thought. She sounds like a treasure! It is indeed going to be breathtaking, Jeanne. I can’t wait! And YES, I am still planning to be there!! Thank you for sharing the pattern. This is the first I’ve heard of the block, and I actually wandered on to your page from another blog I had wandered onto! I will be making blocks, and I have posted the information on three of my blogs. Thank you for spreading the word. Oh, you’re more than welcome, Ginger! It probably isn’t the easiest way of doing the block, although the pattern is easy enough. I just wanted to give people another way of doing it. I’m glad you wandered here. Thanks for sharing the information. The more folks we have making blocks, the bigger it gets. Seventy thousand is a LOT of blocks. Welcome back! I’m right there with ya!